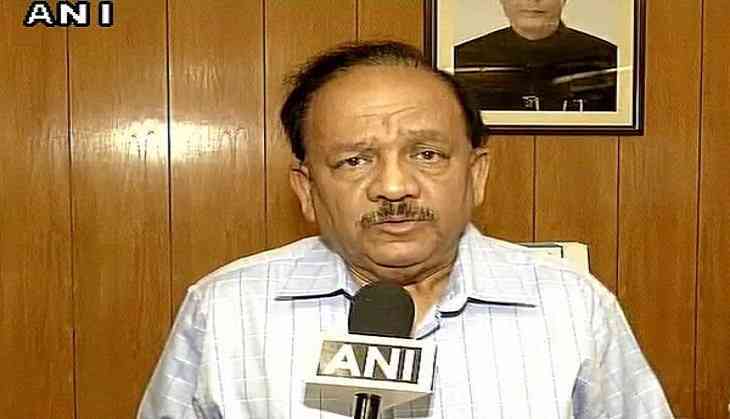 Union Environment Minister Harsh Vardhan on Monday categorically stated that the government doesn't intend to 'influence' people's food habits and that the rules framed under Prevention of Cruelty to Animals Act, which prohibits cow slaughter in animal markets, were framed under the directive of the Supreme Court. The comments came after Meghalaya Assembly, earlier in the day, passed a resolution opposing the Centre's notification banning the sale and purchase of cattle at animal markets for slaughter. "On the directive of the Supreme Court, under the Prevention to Cruelty to Animals certain rules were framed. These rules were notified and put in public domain for one month. All good suggestions were incorporated and some rules were notified," Harsh Vardhan told ANI. Harsh Vardhan claimed that rules might have been misconstrued by some people and a clarification was issued on part of the government. "The Government of India has not even an iota of intention to harm the people of this country. We do not want to influence any food habits of any person. We are not interested in disrupting the business of slaughtering," he said. "If people have any misconceptions about rules or any interpretations, we have invited further representations. We will be examining them with utmost objectivity," he added. The Minister informed that the apex court will be hearing the case challenging the notification on June 15. The resolution, tabled by Chief Minister and Congress leader Mukul Sangma, received immense support from all members of the assembly. They have demanded its withdrawal stating that it would "impact the economy of the state and the food habit of its people".